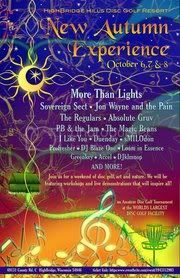 More Than Lights will be headlining the New Autumn Experience Festival on Friday, October 7th. The festival takes place at High Bridge Hills Disc Golf Resort from Thursday, October 6th through Saturday, October 8th. COME PARTY! Tickets are going fast!